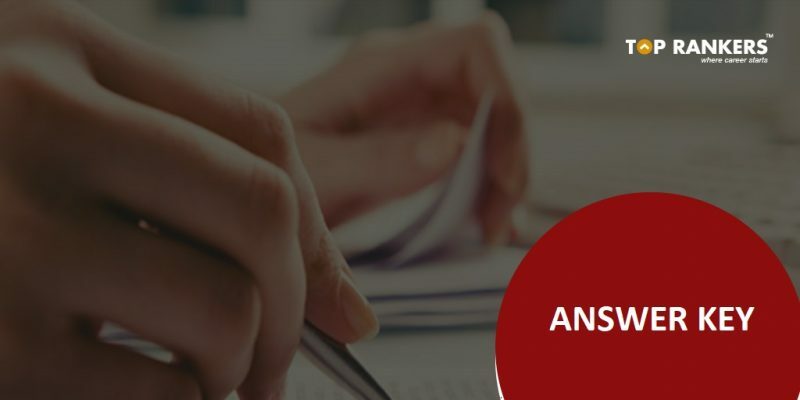 SSC GD Constable Answer Key To Be Released! How to Calculate Marks Through Answer key? SSC GD Constable Answer Key – The Staff Selection Commission General Duty (SSC GD) Constable Official Notification 2018 has been released. However, the registration process has been suspended for now, due to candidates facing problems while registering. We will update the SSC GD Constable Answer key as soon as it is published on the official Website. The official SSC GD Notice has been released on 21st July. The online application process and registration for SSC GD Constable had commenced some days ago but it has been suspended for the time being due to heavy load on the new site of SSC.. The Answer key will release soon after the exam is conducted. Candidates, who will appear in the SSC GD Constable 2018 exam will be very much excited to know the answer key because it will help them to know the exact number of questions they have attempted are wrong or right. Go through the post to know all the updates regarding the SSC GD Constable 2018 Paper Solution. Note: Direct Link Will be Updated soon. Enter your roll number & application number. Now you are ready to check the correct answer to all questions. You can check your answer key till 22nd July 2018. All the aspirants can check the answer key to get an idea of their performance and to know how much marks they can expect in the exam. SSC GD Constable Answer Key will be released in the official website. Using SSC GD Constable Answer key you can calculate your marks. We have mentioned all the eminent information of SSC GD Constable 2018 for Assistant Professor. We are sure that you are working hard practicing the SSC GD Constable Mock Test, and hence, we are confident that your efforts will be rewarded. Just keep going! CTET Application Form 2018 | Apply Online!